Did you know that you can download Facebook videos to your computer without installing any video installer? Yes, you can safely download Facebook those videos that you are yearning to have them on your device. With the rise of numerous pages and ever increasing Facebook users, you will find a lot of videos being shared that you may wish to have them on your device. The problem you could be experiencing is the safest way of downloading these videos. A safe way of downloading these videos is by using online video downloader. In this article, we will introduce you to the safest and fastest Facebook video downloader online service that does not require any other installations. Have you heard of Snaptube online downloader? It is an online downloader that allows you to download videos and audios from Facebook safely. Using this Facebook video online downloader is straightforward and does not require any installation like adds on to your browser like other online downloaders. Snaptube online downloader recognizes URLs, and you can also search for videos or audio files using keywords such as song title or artist name. As you enter the keywords, the suggestions will appear at the bottom that makes it easier to look for the particular video. After displaying the search results is when you can download your video or audio. It supports download of videos and audios from other websites such as Vimeo, Vine, Liveleak, Mobfry, Skymovies, Metacafe, Dailytube, Tune, FunnyOr Die and much more. It boasts of fast download speed. It can download directly download MP3 files to your computer. No ads. It user interface has no ads. You can choose the quality of the video that you want to download. You can determine the file size of the music file that you want to download. Downloading videos and audios on this platform is totally free and no registration is required. SnapTube supports different browsers, including Chrome, FireFox, Safari and Internet Explorer. As you have seen Snaptube online downloader is an easy to use web downloader built to support online videos and audios from different popular websites. In this part, we will show you a detailed step-by-step guide on how you can download video from Facebook videos online safely to your computer. Begin by launching your browser on your computer. From there visit https://www.snappea.com/. 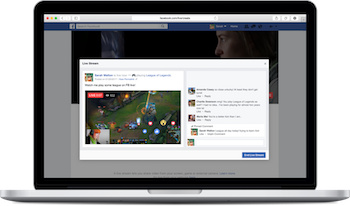 Next, log in to your Facebook and go to the Facebook page that has the video that you want to download. Play the video and go to “Options” button and click on “Show URL” and then copy the URL of the video. Now, go back to Snaptube online downloader window and paste the Facebook video URL on its search box and click on “Search”. The search box is placed at the middle of the screen. The results will be displayed immediately. Click on “Download” button. You will then have to re-click on “Download” button to be able to choose the video quality. Download the video. Once the video has been downloaded to go to “Downloads” folder on your computer and play it. Bravo that is how to safely Facebook videos with SnapTube online downloader. Other the Facebook video channels that you know, you can also check out on these six popular videos on Facebook. You will get interesting videos that you can watch and download. Unilad is user interactive channel that allows users to submit videos that can be uploaded and shared. VT is a Facebook channel that shares viral content across the globe. This a food network channel that you will get different cooking ideas, cooking tips and recipes. 5-minute crafts brings you all do it yourself projects and ideas that you can implement at home or work. From the description of The Dodo page, it is an animal related page that creates and share vidoes and stories related to animals in an emotional way. You can also check on LadBible which has funny stories, viral videos and all latest news.